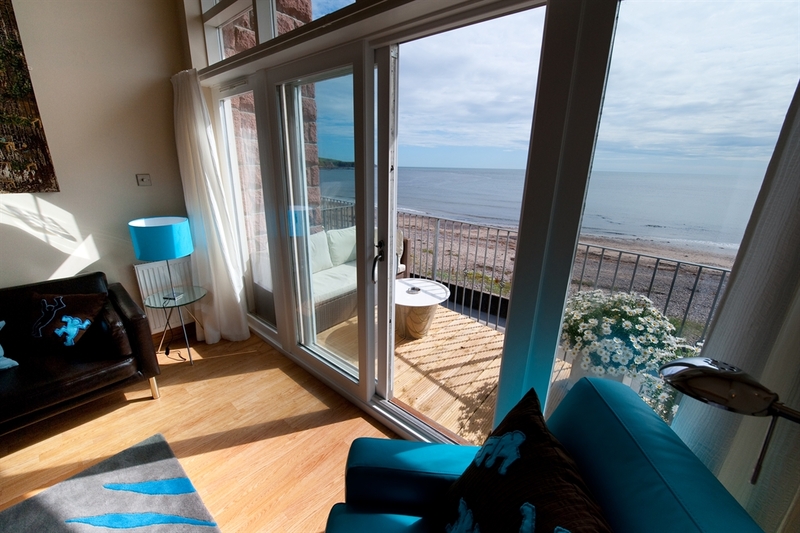 Our luxury penthouse and executive apartments both have a full length glass wall and balcony facing Stonehaven Bay. 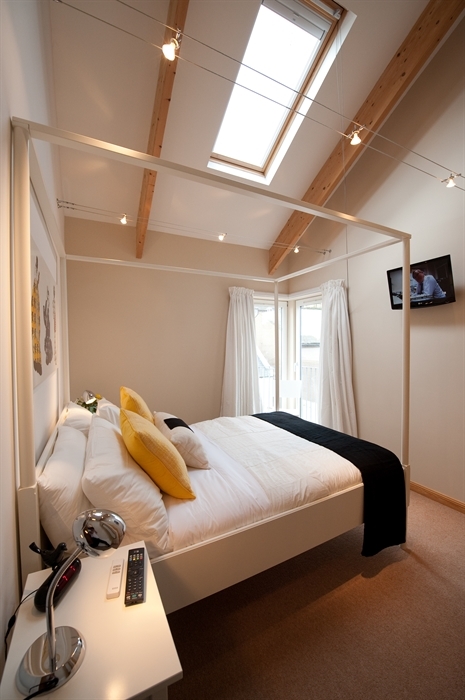 These self contained, fully serviced apartments comprise of two bedrooms, bathroom and lounge with fully fitted kitchen. Your every need is catered for "from sewing kits to shoe-shine mitts", ensuring a relaxing and comfortable stay. 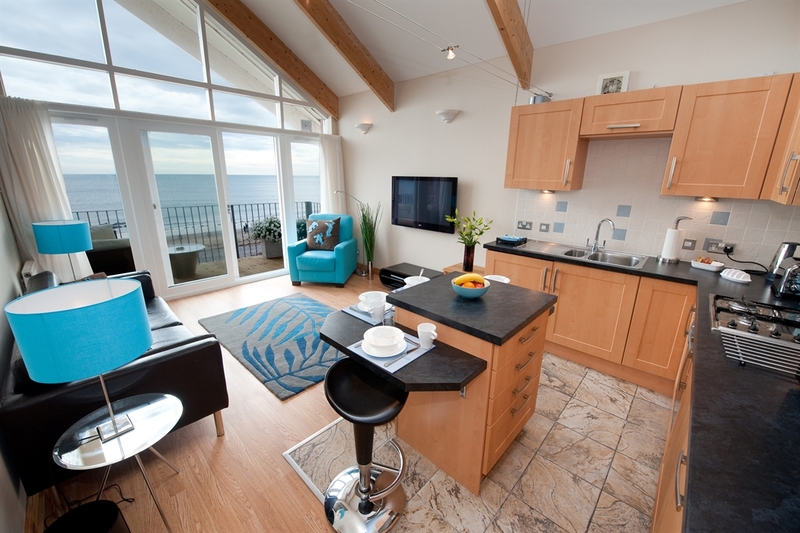 A luxury penthouse or executive apartment with a full length balcony facing the North Sea is the a perfect base for a holiday in the North East or just for a quick stopover on your way through. 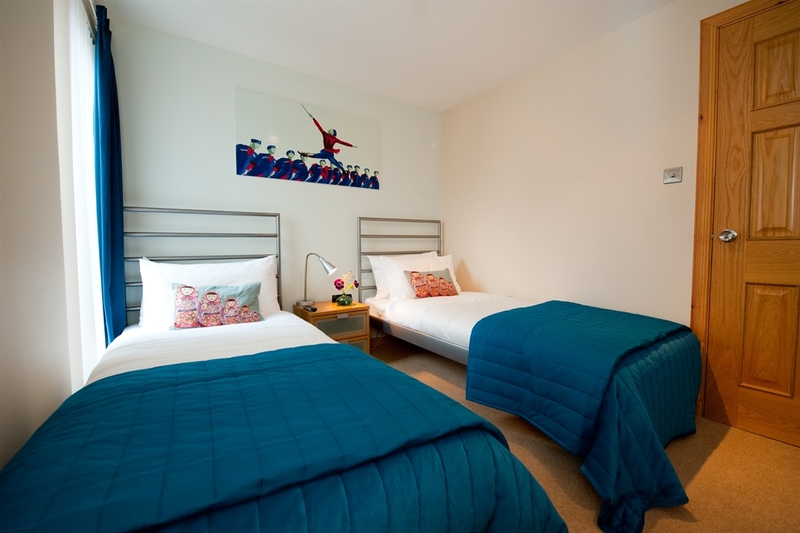 These fully serviced apartments are self contained; they each comprise of two bedrooms, bathroom and a luxury lounge with fully equipped kitchen and dining area. 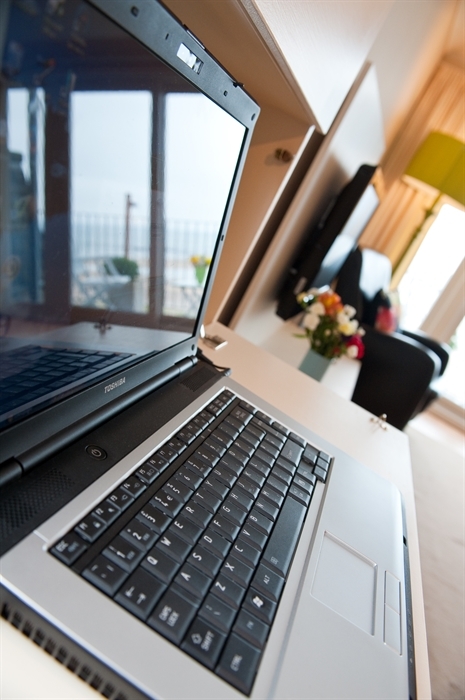 A PC with free internet access and the latest Microsoft Executive Office is available in each apartment. Wi-fi is also provided if you prefer to use your own lap top. These stylish apartments are completely self contained but have the advantage that the proprietoress is on hand to ensure that all your needs are catered for. 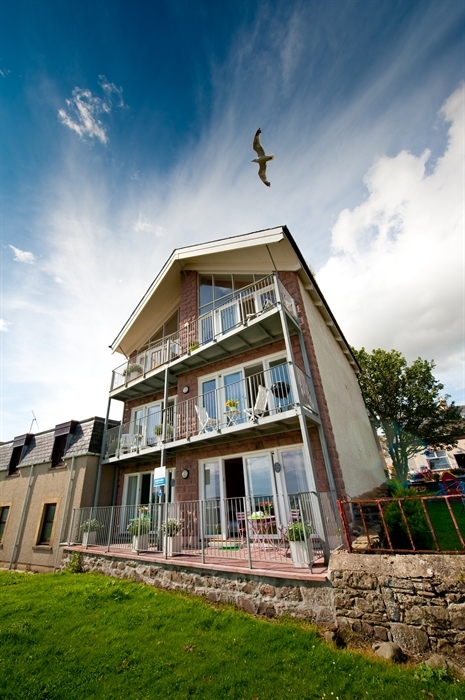 Located in Stonehaven; only 10 minutes from Portlethen; 15 minutes from Altens and 20 minutes from the centre of Aberdeen. We provide a full range of Breakfasts - Full Scottish, Scambled egg and smoked Salmon, Continental Breakfasts with croisants, choice meats and cheeses, selected Fruits and many more options. We always use organic bread, free range eggs, and home cured bacon and endevour to source local produce whenever possible. 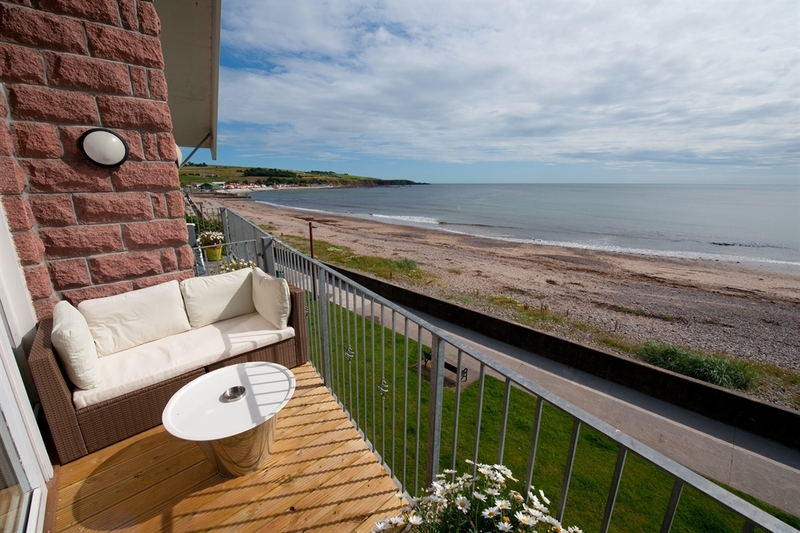 We are the proprietors of Bayview, a four star bed and breakfast located in the picturesque coastal town of Stonehaven. Now in our third year of operation we have established an enviable reputation for a friendly and high quality service. 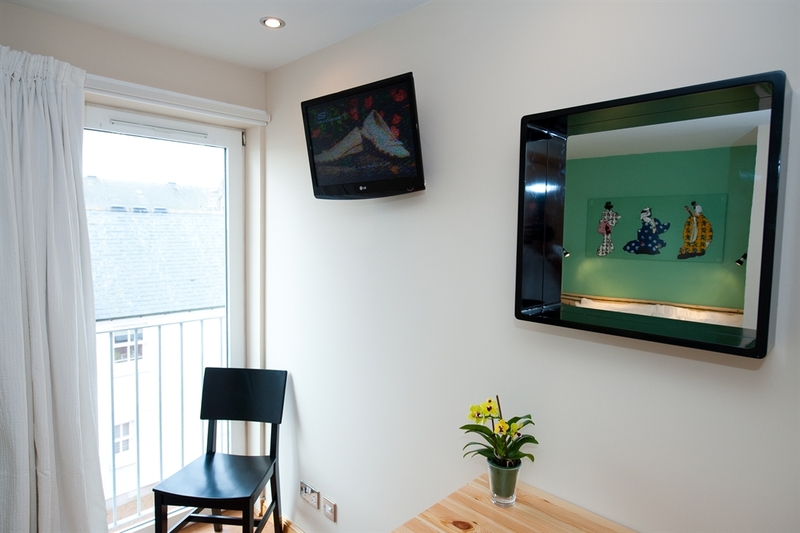 The executive apartment is furnished to exceptionally high standards and offers stylish and spacious accommodation for the leisure user. 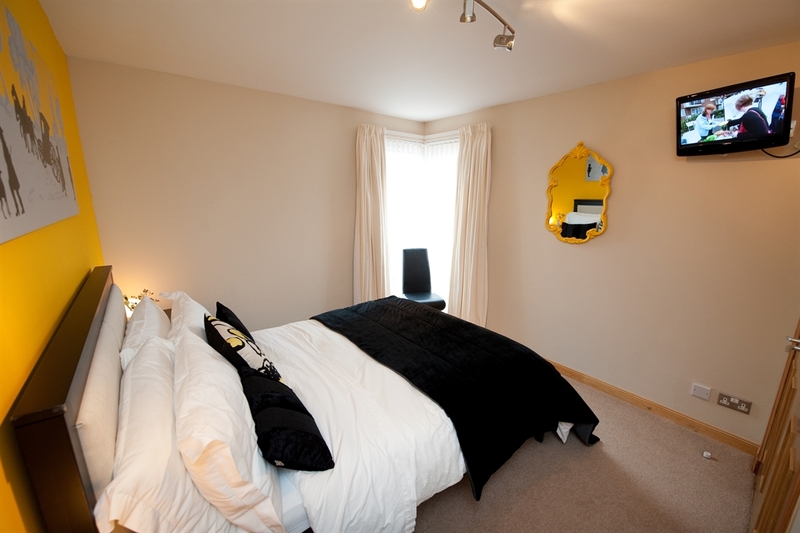 The apartment has one double bedroom, one twin bedroom, a fully equipped kitchen, spacious lounge and bathroom. Children are specifically catered for. 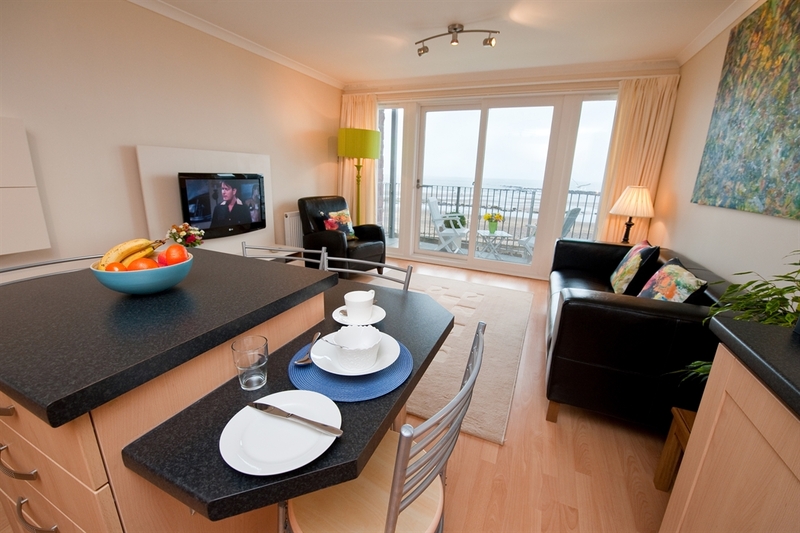 The penthouse apartment is double heighted with spectacular views over the bay. 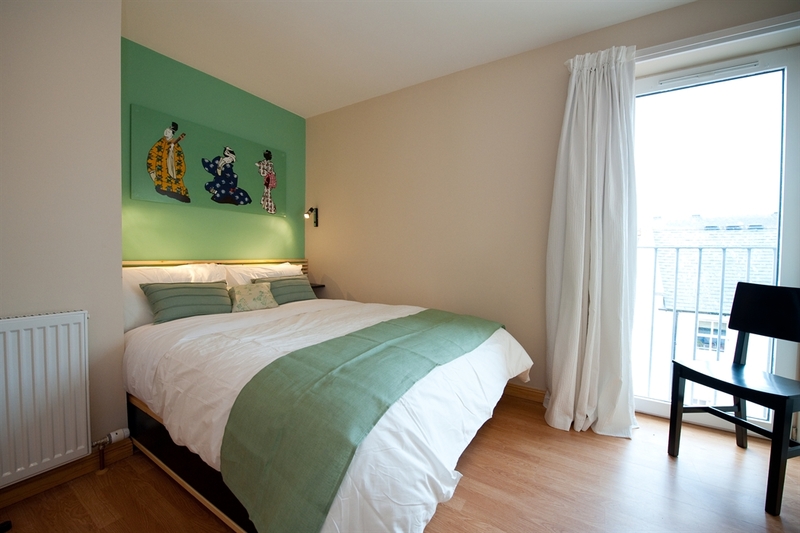 The apartment has two double bedrooms, a fully equipped kitchen, spacious lounge and bathroom.